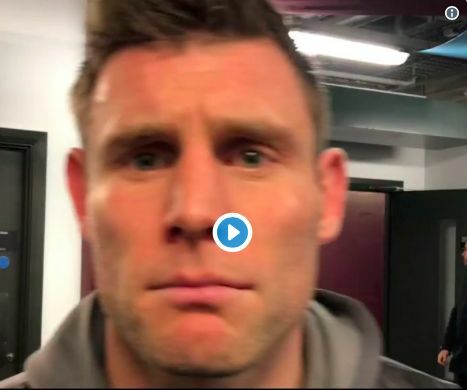 If nerves are creeping into Liverpool’s approach of late, then James Milner certainly isn’t showing it. The Reds’ vice-captain has quashed talk of any ‘concern’ among his teammates on the back of Monday night’s disappointing draw against West Ham. It was more so the performance than the result itself that raised further questions over Liverpool’s title credentials as they struggled to display the same composure and control that has fuelled their rise to the top. The result means Manchester City can move into first place on goal difference if they beat Everton at Goodison Park on Wednesday night. Liverpool would then have the opportunity to reclaim the top spot with victory over Bournemouth at Anfield this coming weekend. Such a simple response, and yet so true. It may be that Liverpool and finally staring at the kind of stumbling block all title contenders must overcome at some point in the Premier League season. The response from here on is what matters. If this is the so-called ‘blip’, then it’s vital Klopp’s men avoid letting these draws turn into harmful defeats.